Club Penguin Cheats by Mimo777 Club Penguin Cheats by Mimo777: Club Penguin's Rock-A-Bye Herbert Video! Club Penguin has yet another video uploaded to You Tube! Rock-a-bye Herbert! Rut Roh! Looks like Herbert's hibernation could be coming to an end... a wet end! Wha? Security is still engaged? Oh great, how did Rookie mess this up, too? 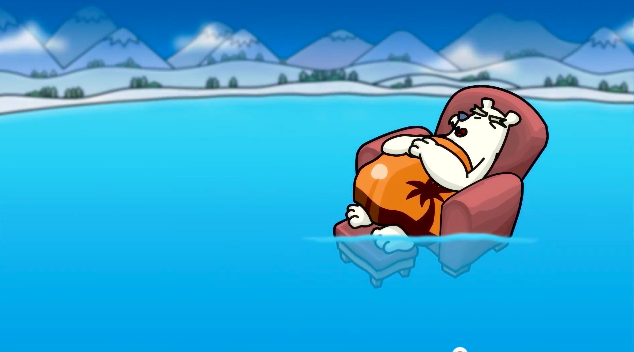 Uh Oh, Herbert might wake up during the Underwater Party. That's how Rookie will muck it up. im starting to think that gary is making rookie sink the island so that herbert will drift away from the island. Club Penguin said that there will be an Underwater Adventure this month and January is ending. I don't think there will be an Underwater Adventure. I KNOW!!!! The water for the party wiped out the walls and he went out to sea! And the new villain will be.......PROTOBOT!!!! Rookie screwed this all up! This time she put the whole island in danger. Never trust Rookie for a cp party. . . ever! Rookie is NOT a spy! He didn't do anything! I sense a mission. I think this what Gary meant by EPF help with underwater party. What is connected in the new Twelth Fish script, since he wrote that? 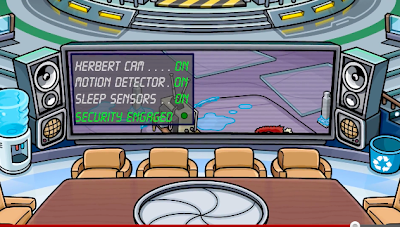 I go to EPF Herbert monitor and *screams* KLUTZY IS GONE!!! He isn't in his pet bed. Is he doing something behind our backs? Gary: Rookie, I want to see you in my office. NOW. Rookie: What is it, boss? What is connected in the new Twefth Fish script, since he wrote that? I go to EPF Herbert monitor and *screams* KLUTZY IS GONE!!! He isn't in his pet bed. Is he doing something behind our backs? Klutzy has been gone since the mountain expedition when he escaped after we trapped Herbert in the cube to keep him hibernating. OMG!!! did u see the nyan puffle??? I think Rookie is the best EPF agent ever! I don't think he should get fired. I think Rookie should be fired. Even the first time we caught Herbert, Rookie was responsible for him escaping. This led to the blowing up of the PSA. Who would be gullible enough to give a phone/teleportation device to your worst enemy who is trapped.